Try SchoolHouseTeachers for Just $1! Its Pouring Savings! Don't get caught in the rain. SchoolhouseTeachers.com has you covered with our April Showers Sale. 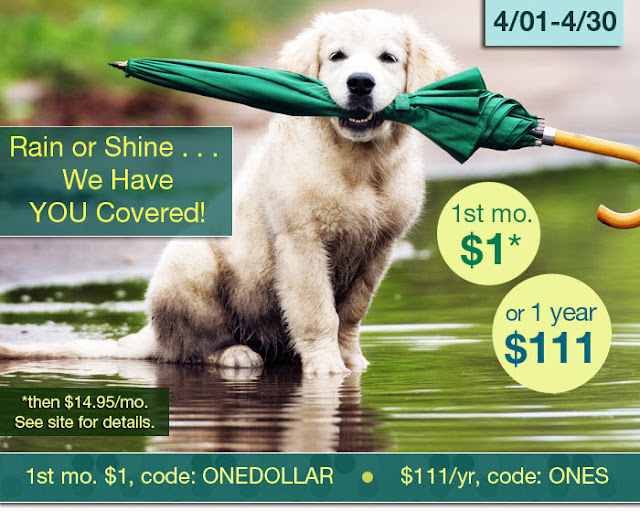 Don your raincoat and galoshes and hold out your umbrella to catch the flood of savings. You'll really be able to get a bang for your buck this tax season. For a limited time, try an Ultimate Membership (PreK-12) for one month for $1 (then $14.95/mo.) or sign up for a year for just $111 and get a FREE Hey Mama! Print Planner. Enjoy these weather- and money-related courses, perfect for studying during a spring shower. Learn all about umbrellas in Sensory Learning for Toddlers. Read about the Great Flood in Bible Adventures. Delve into the weather and atmospheric conditions in Physical Science. Look up and study rainbows in Nature/Outdoors then craft rainbow wind chimes in Let's Do Art Outside. Teach wise financial practices with Accounting 101 and Money 101. These, along with more than 430 additional courses and dozens of resources are yours to access instantly. With an Ultimate Membership (PreK-12), you'll be on top of your homeschool day—rain or shine. Sign up for a discounted yearly membership ($111 using code: ONES at checkout) to receive the Hey Mama! 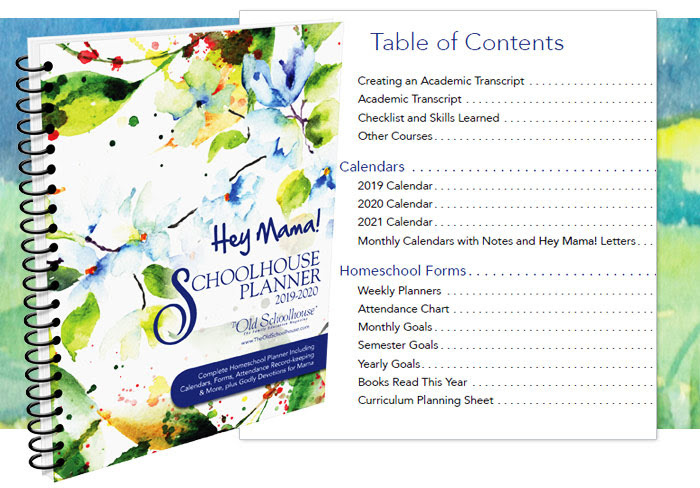 Schoolhouse Planner (2019—2020 print edition) shipped free when it releases in May (US only). This spiral-bound planner has lots of space for notes and is the only homeschooling planner you will need, whether you have one child or more! Already a member? Check your dashboard for instructions on how to claim yours. Not a member? 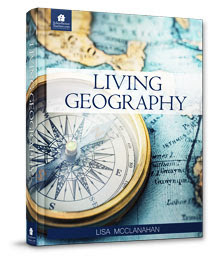 You can purchase a planner for $29 at www.HeyMamaPlanner.com. 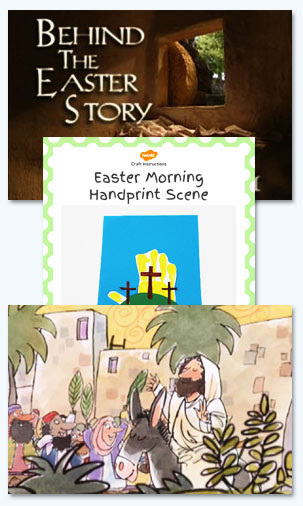 In addition to Easter, we have many other seasonal and holiday resources available. It's Pouring Savings, but Not for Long! Valid 4/01&hyphen;4/30. New members only. Please sign up for one year using code ONES at checkout in order to receive your FREE print planner and pay $111 instead of $179. (planner for US residents only).